I went on a really fantastic food tour last week with my volunteer group, led by Jessica K. of Forktown Food Tours. 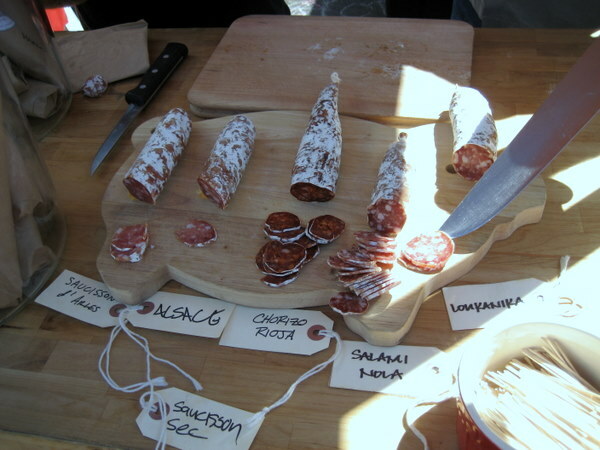 We hit several spots in the Nob Hill/NW neighborhood of Portland, which is truly a food paradise. I didn’t realize they now have a farmers market at NW 23rd/Savier on Thursdays from 3-7 through Sept. 30th, so that was a real treat. I’ll have to go back: Rogue Creamery was there selling FRESH BUTTER. Wow. Besides the market, we also hit some of my other favorite places: Besaw’s, Kenny & Zuke’s, City Market, Two Tarts (gluten-free macarons! ), and Wildwood. An awesome blackberry kir royale at Besaw’s. I’m definitely going back soon just to have another one. The albacore fingerling potato salad at BBQ on the Patio at Wildwood (basically their version of happy hour on Tuesdays and Thursdays). 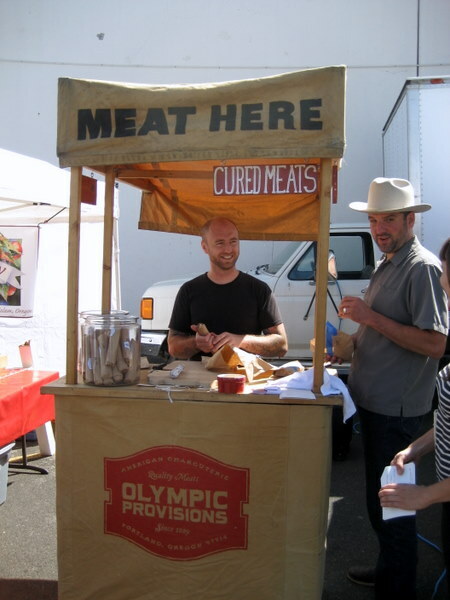 The d’Arles sausage of Olympic Provisions, my current favorite sausage of theirs. The Man prefers Alsace. The crabapple single-fruit Wickson cider from Wandering Aengus Ciderworks. Wow. Interesting. Jessica was great at providing a little Portland city history mixed in with its culinary history as well, and she kept up the pace so we didn’t linger too long in any one spot. I think it’s a super tour for both locals and visitors alike. 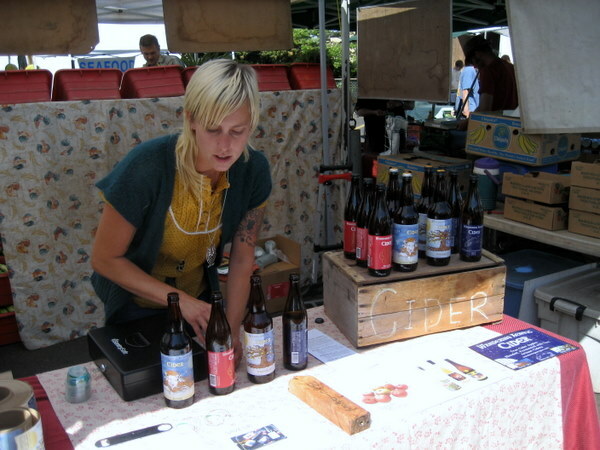 She also offers a food tour of North Portland, which sounds intriguing, as well as a beer tour. As an aside, Laurelhurst Market just got ranked as one of the top ten U.S. restaurants by Bon Appetit. Awesome! Eli and Tyler showing off their sausages. I'll take a bottle of each, please.